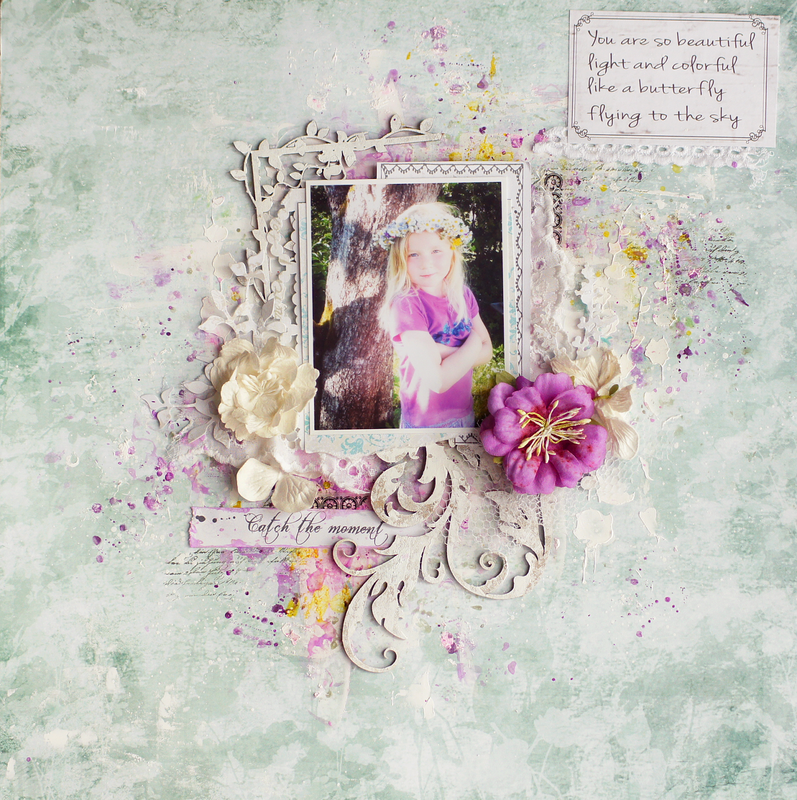 Dusty Attic chipboards I used here: DeVine Frame set and Corner Flourish. Got mine at kreative koncepts store. The papers and gesso are from 13arts. Here is the sketch for current challenge at Dusty Attic. Thanks for stopping by & have a great time! Very lovely! Beautiful! I love your colors. Such a gorgeous photo and beautiful scrapped page!!! Absolutely gorgeous.. lovely photo and love those chippies you have used too..